Wrongful Convictions: What Really Matters? A bundle of law review reprints arrived in my office recently, sent by Prof. Paul Cassell of the University of Utah’s law school: three articles, a total of 158 pages and 731 footnotes. With his articles, he has launched another sally in the long-running scholarly war over the rate of wrongful convictions in American criminal justice. His new calculation places the rate in a range of 0.016 percent to 0.063 percent. Cassell’s calculations may or may not be accurate. The question is whether they are meaningful, that is, whether they contribute to preventing the next mistake. Our concern is not with compiling past wrongful convictions (or acquittals) in the aggregate; it is with avoiding them individually. Editor’s Note: Prof. Cassell is a former Associate Deputy Attorney General, and a former U.S. District Judge in Utah who is considered a leading advocate of victims’ rights. 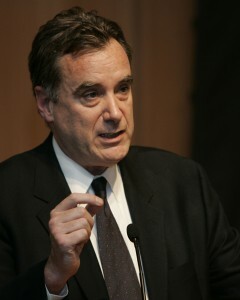 Cassell’s point seems to be that while wrongful convictions remain important as a matter of principle, they should be considered as “error costs”—the product of the likelihood that an error will occur and the price of the error if it does occur—and they therefore are not an urgent issue among the many other challenges of our justice system. They are unlikely to the point of freakishness, and the cost of the errors that do occur can often be discounted because of the “moral blameworthiness” of many of the people wrongfully convicted, he appears to be arguing. I won’t join Cassell’s academic colleagues in disputing his arithmetic. I have neither the expertise nor the energy to join that battle. But the practitioner’s life I’ve led does provide a perspective on the debate that might be worth recording, if only because it is so different from the combatants’ own. Cassell’s numbers would seem to indicate that a mistaken conviction must be nearly impossible to contrive, and that avoiding a wrongful conviction is really rather an easy thing to do. That’s not the way it feels to a frontline cop, prosecutor, or defender. No one with two weeks’ experience in our shambolic urban courts will be very reassured by the claim that there is a 99.98 percent chance that their case is going to turn out OK. I can’t help thinking of a client of mine named (let’s say) Bob Flinch. Flinch held up a liquor store, shot the owner, and then, on his way out, somehow managed to shoot himself in both feet. Collapsing under a stoop 30 yards down the street, he still had the weapon with him when he was arrested five minutes later and helpfully recounted events for the police. Flinch was very diligent about staying in touch with me pretrial via telephone from the D.C. jail. (He opened every call with “How does it look?”) I did what I could, but Flinch was convicted. Any system, operated by anyone, would convict Mr. Flinch. It is a little disconcerting to realize that when Cassell determines what fraction of prosecutions result in wrongful convictions, Mr. Flinch’s case finds its way into his denominator. Cassell’s numerator—the number of officially recognized exonerations—makes fair-enough use of the numbers, but it uses the numbers we have rather than the numbers we need. The fraction most of us are interested in when we assess the system’s functioning is the number of mistaken convictions (some revealed and many undetected) over the number of cases that might (unlike Flinch’s) have been subject to some doubt. The academic antagonists are oriented to the ancient ideological tug-of-war between adherents of Herbert Packer’s Crime Control and Due Process Models: a zero sum contest between the suspect and the state. One camp wants more official control of the population; the other wants more control of the officials. Both seek control as their goal, or as at least the indispensable precondition for other goals. Frontline lifers (at least lately) have become less interested in control and more interested in the collaborative co-production of safety. They have been forced to recognize that control is often illusory, always evanescent. And so, practitioners value the lessons taught by the study of safety in aviation, medicine, and other high risk industries. Frontline people will tend to see wrongful convictions not as single cause (say, eyewitness error events), but as complex “organizational accidents” in which many small errors and omissions, none of them independently sufficient to cause the disaster, combine with each other and with latent system weaknesses. The practitioners know that many things have to go wrong before an innocent man is convicted, and they also know that many things would have to go right (e.g., he finds a lawyer, has the right sort of evidence, etc.) before a wrongly convicted man is exonerated. Safety specialists teach us that there are many more errors than there are completed wrongful convictions, and many more wrongful convictions than there are exonerations. A wrongful conviction isn’t “caused” by a Brady violation. The police had to get the wrong guy. The DA’s office had to hire the wrong assistant, goad him with the wrong incentives, and fail to train and supervise him. The defenders had to fail to develop the buried exculpatory material on their own. A wrongful acquittal isn’t “caused” by the exclusionary rule. First, training on and observance of Fourth Amendment search and seizure requirements have to fall short, and the development of alternative sources of evidence has to be frustrated for the exclusionary rule to free a guilty man. As John Jay College of Criminal Justice Professor Jon Shane has shown, even an apparently simple violation of constitutional procedure is a complex organizational accident. A basic maxim of the safety experts is that the absence of accidents is not proof of safety. Besides, one of the most basic maxims of the safety experts is that the absence of accidents is not proof of safety. The fact that we launched Space Shuttles with the same O-ring design successfully many times before the Challenger mission didn’t mean that it was safe to launch Challenger. As Charles Perrow, one of the pioneers of the modern safety movement, put it, Murphy’s Law is wrong: everything that could go wrong usually doesn’t, and then we draw the mistaken conclusion that things are safe. Whatever the fix, the cases will keep coming. Practitioners are bombarded with daily reminders that criminal justice, like all human endeavors, is subject to error. The rate of fatal errors in medicine may be as high as the Academy of Medicine’s estimate of 44,000 to 98,000 annually, or it may be more accurately estimated at a lower rate, but no one argues against working at continuing quality improvement in patient safety. What Cassell’s latest piece will show practitioners (if they happen to read it) is that neither Cassell and his allies, nor their opponents, will ever succeed in landing the knock-out punch each side seems to crave. The statistical raw materials are too fluid to provide the foundation for a clinching proof. But if the scholarly antagonists can reconcile themselves to that conclusion there are learning opportunities for them here. For example, although deriving an exact authoritative rate of wrongful convictions may be impossible, we do know something about their distribution—especially their racial distribution—and that may repay further study. Prof. Jon Gould and his colleagues have shown that careful social science inquiry can teach us about the conditions that lead to wrongful convictions by contrasting those conditions with others influencing “near miss” outcomes in which mistakes are intercepted before the conviction occurs. Significantly, Gould and his co-authors directly enlisted frontline practitioners to collaborate in developing “strength-of-case” measures. Further openings for scholarly (and law school clinical program) collaboration with the frontline actors are provided by efforts such as the National Institute of Justice / Bureau of Justice Assistance exploration of all-stakeholders, non-blaming, forward-looking “Sentinel Event Learning Reviews” that probe the sources of wrongful convictions (and, for that matter, wrongful acquittals) with avoiding repetition as their focus. This is a team effort worth undertaking. After criminal justice mistakes, the system has to hold itself accountable for learning everything it can from the event. Wrongful convictions are “iatrogenic injuries.” Like a scar after surgery, they are inflicted by useful treatment. The harms they produce radiate outward in concentric circles: to the exonerated, the original victims, and to the future victims whom the actual perpetrator will find while the wrongfully convicted man serves the real criminal’s time. Those harms should be weighed before we act as well as deplored later on. Cassell does list many of these harms. But there is one harm that recedes into the background in his accounting; one for which the difference between 1 percent and 5 percent may not ultimately be very important. John Adams described that harm, arguing in defense of the British officers in the Boston Massacre trial. Guilt and crimes are so frequent in the world, that all of them cannot be punished . . .But when innocence itself is brought to the bar and condemned, especially to die, the subject will exclaim, it is immaterial to me, whether I behave well or ill; for virtue itself is no security. And if such a sentiment as this should take place in the mind of the subject there would be an end to all security what so ever. James M. Doyle is a Boston defense lawyer and author, and a frequent contributor to The Crime Report. He welcomes readers’ comments. Justice Reform Under Trump: Some Good News? An experimental project aimed at helping local jurisdictions examine–and correct–mistakes in the justice system will soon be expanded to up to 25 cities and counties. The expansion of the Sentinel Events program amounts to an endorsement by the Justice Department of a major Obama-era reform initiative.